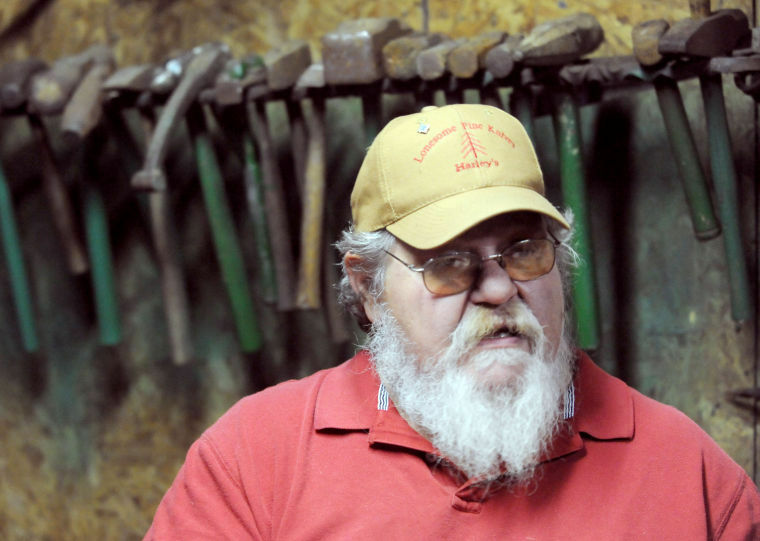 Larry Wayne “The Hammer” Harley, friend, knifemaker, bladesmith and knifemaking teacher to anyone who showed an interest—especially kids and “wounded warriors”—passed away in his sleep Feb. 12. He was 66. A lifelong resident of Bristol, Tennessee, Larry made knives under the business name of Lonesome Pine Knives. An American Bladesmith Society journeyman smith, he was the chair of the ABS Youth Program and was involved with the Wounded Warriors Project. He was best known outside the knife industry as one of the stars of the National Geographic television show Lords of War, on which he went simply by the nickname of “The Hammer,” specializing in identifying and judging the worth of assorted knives, swords and other edged weapons. Though not a tall man, Larry was large with burly arms and a massive chest—which was no doubt needed to contain his huge heart. He conducted bladesmithing symposiums at his shop in Bristol, entertaining youths, veterans and anyone and everyone who wanted to make knives. He also taught at the Batson Bladesmithing Symposium, youth programs at the BLADE Show and Smoky Mountain Knife Works, and just about anyplace he could find that would allow him to teach the craft, and interact with the people involved, that he loved so much. “Larry always felt that the real payment for teaching a youngster of any age was the irrepressible smile that was always on their face when they realized they could do it,” wrote ABS journeyman smith Wes Byrd, who, along with Larry, taught kids how to make knives in the ABS Youth Program.